NEW LONDON, PRINCE EDWARD ISLAND--- Jan. 30, 2010 - The Governments of Canada and Prince Edward Island are partnering to help farmers reduce energy costs and generate new income opportunities through renewable fuels. This investment of $9.9 million will support two projects that will help to improve farmers' profitability, improve environmental sustainability of Canadian agriculture and help drive the Canadian economy. "Farmers have always been good stewards of the land and they know that investing in the environment is key to their future success," said Fisheries and Oceans Minister Gail Shea. "Canada's Economic Action Plan is boosting our economic recovery by helping farmers find new markets, adapt to current economic challenges and make their businesses more energy efficient and environmentally sustainable." The federal investment under the AgriFlexibility fund, part of Canada's Economic Action Plan, totals $5.9 million for two new projects:- $4.2 million for the Renewable Energy Initiative, that will audit and promote the use of agriculture-based renewable energy sources and equipment; - $1.7 million for the BioEconomy Crop Initiative, that will evaluate the economic and environmental benefits of crops such as fall rye, perennial grasses and hybrid willows to plant and harvest for energy generation; "Energy represents a significant cost for producers, and we are pleased to partner with the federal government and the industry to help address this issue," said Prince Edward Island Agriculture Minister George Webster. "Through these new initiatives, producers will be able to reduce their costs, develop new markets and benefit the environment. This initiative is part of the provincial government's Rural Action Plan which supports new and innovative energy projects to improve the competitiveness of the agriculture industry. "The province is investing $2.8 million in the Renewable Energy Initiative and $1.2 million in the BioEconomy Crop Initiative. Funding is subject to the projects meeting all eligibility requirements and the signing of contribution agreements.Canada's Economic Action Plan will remain focused on strengthening the economy, while working towards returning to balanced budgets and securing Canada's economic future. For more information on Canada's Economic Action Plan, visit http://www.actionplan.gc.ca/.For more information on Agriculture and Agri-Food Canada's (AAFC) programs visit http://www.agr.gc.ca/. Text of Chairman's Statement Washington, D.C., Jan. 27, 2010 — The Securities and Exchange Commission today voted to provide public companies with interpretive guidance on existing SEC disclosure requirements as they apply to business or legal developments relating to the issue of climate change. Federal securities laws and SEC regulations require certain disclosures by public companies for the benefit of investors. Occasionally, to assist those who provide such disclosures, the Commission provides guidance on how to interpret the disclosure rules on topics of interest to the business and investment communities. The Commission's interpretive releases do not create new legal requirements nor modify existing ones, but are intended to provide clarity and enhance consistency for public companies and their investors. The interpretive release approved today provides guidance on certain existing disclosure rules that may require a company to disclose the impact that business or legal developments related to climate change may have on its business. The relevant rules cover a company's risk factors, business description, legal proceedings, and management discussion and analysis. "We are not opining on whether the world's climate is changing, at what pace it might be changing, or due to what causes. Nothing that the Commission does today should be construed as weighing in on those topics," said SEC Chairman Mary Schapiro. "Today's guidance will help to ensure that our disclosure rules are consistently applied." Investorideas.com invites all publicly traded renewable energy companies to join the new group on Linkedin.com and publish news and commentary. www.RenewableEnergyStocks.com is one of several green investor portals within Investorideas.com and provides investors with stock news, exclusive articles and financial columnists, audio interviews, investor conferences, Blogs, and a directory of stocks within the renewable energy sector. MERRIMACK, N.H.----GT Solar International, Inc. (NASDAQ: SOLR), a global provider of specialized production equipment, process technology and turnkey manufacturing services for the solar power industry, today announced that it has signed contracts in excess of $40 million with two wholly owned subsidiaries of China-based GCL-Poly Energy Holdings Limited (“GCL-Poly”). The first agreement, with Jiangsu Zhongneng Polysilicon Technology Development Co., Ltd., is for GT Solar’s best-in-class Trichlorosilane (TCS) Production Technology Solution. The second, with Jiangsu GCL Silicon Material Technology Development Co. Ltd., is for GT Solar’s market-leading Directional Solidification System (DSS) furnaces and ancillary equipment. These contracts represent the first purchases of GT Solar equipment and services by GCL-Poly and its subsidiaries. “We are pleased to welcome GCL-Poly as a new GT Solar customer for both our polysilicon and photovoltaic equipment businesses”.GT Solar’s TCS Production Solution includes all of the technology and basic engineering services required to produce TCS, one of the primary raw materials used to manufacture polysilicon. GT Solar’s DSS furnaces are used to melt polysilicon and grow multi-crystalline ingots, which are utilized to produce solar wafers and, ultimately, solar cells. About GT Solar International, Inc.
GT Solar International, Inc., based in Merrimack, NH, USA, is a leading global provider of specialized production equipment, process technology and turnkey manufacturing services for the solar power industry. The company's products and services allow its customers to optimize their manufacturing environments and lower their cost of ownership, accelerating the drive towards grid parity. For additional information about GT Solar, please visit www.gtsolar.com. GCL-Poly Energy Holdings Limited is China’s largest and one of the world's leading polysilicon suppliers and also a top green energy enterprise in China with extensive operation and management experience. Annual polysilicon production capacity of GCL Solar, a subsidiary of the Group, reached 18,000 MT at the end of 2009 and is expected to reach 21,000 MT by the end of 2010. GCL Solar has also started constructing wafer production facilities and targets to achieve 1GW of capacity by mid-2010. In addition, the Group controls and invests in a total of 18 cogeneration power plants, one incineration power plant and one wind power plant. Most of these plants are located in Jiangsu and Zhejiang provinces in China with strong economic growth and robust demand for electricity and steam. All these plants are advocated and encouraged by the Chinese government. For more information about GCL-Poly, please visit the company’s website at www.gcl-poly.com.hk. *Source: GCL-Poly Energy Holdings Limited. GT Solar takes no responsibility for the accuracy of this description. Some of the statements in this press release are forward-looking in nature, including statements regarding the $40 million combined total value of GT Solar’s new contracts with GCL-Poly. These statements are based on management’s current expectations or beliefs. These forward-looking statements are not a guarantee of performance and are subject to a number of uncertainties and other factors, many of which are outside GT Solar’s control, which could cause actual events to differ materially from those expressed or implied by the statements. Factors that may cause actual events to differ materially from those expressed or implied by our forward-looking statements include the possibility that GCL-Poly may not perform its obligations under its contracts with GT Solar, and various other risks as outlined in GT Solar International, Inc.’s filings with the Securities and Exchange Commission, including the statements under the heading “Risk Factors” in GT Solar’s annual report on Form 10-K for the fiscal 2009 filed on June 9, 2009 and Form 10-Q for the second quarter of fiscal 2010 filed on November 10, 2009. Statements in this press release should be evaluated in light of these important factors. GT Solar International, Inc. is under no obligation to, and expressly disclaims any such obligation to, update or alter its forward-looking statements, whether as a result of new information, future events, or otherwise. Bee Nest Biz www.beenest.biz specializes in supporting and fostering the green movement and eco entrepreneurs by means of forming affiliate partnerships with environmentally and socially conscious green businesses in the LOHAS sector. The green investing sector represents one area in which Bee Nest Biz is using to help spread the reach of the green movement over the internet. A partnership with Investor Ideas enables Bee Nest Biz green investing resource portals, which include www.InvestWithGreen.com, www.InvestingInGreen.info, www.WindEnergyStocks.info, www.WindPowerStocks.info and www.SolarEnergyStocks.info to provide direct vendor relations and access to comprehensive renewable energy stock directories. Renewable Energy Stocks Directory - Global Green and Renewable Energy Stocks Directory in PDF format includes over 900 stocks on the TSX, TSX Venture, OTC, NASDAQ, AMEX, NYSE, ASX, AIM and other leading global Stock Exchanges . The directory features hyperlinks to stocks symbol(s), company’s URL and company’s description. The directory includes info and links on Alternative Energy Funds, Biogas and Ethanol Stocks, Energy Efficiency Stocks, Flywheel Stocks, Fuel Cell Stocks, Geothermal Stocks, Hydrogen Production, Micro Turbine Stocks, Solar Stocks, Smart Grid Stocks, Green Transportation, Wind Power and Wind Energy Stocks and Green Infrastructure Stocks. For investors following green stocks, this is the most comprehensive global stock directory online. Water Stocks Directory - Global Water Stocks Directory of publicly traded water stocks listed on the TSX, TSX Venture, OTC, NASDAQ, AMEX, NYSE, ASX, AIM and other leading global Stock Exchanges. The stock directory features water stocks ranging from desalination companies to bottled water stocks, to infrastructure, water treatment and technology as well as other sub sectors. The directory in PDF format, features hyperlinks to stocks symbol(s), company's URL and company's description. For investors following water stocks this is one of the most comprehensive directories in the sector available. Environment Stocks Directory - Global Green Stocks Directory of Publicly traded Environmental Stocks listed on the TSX, TSX Venture, OTC, NASDAQ, AMEX, NYSE, ASX, AIM and other leading global Stock Exchanges. The directory in PDF format, features hyperlinks to stocks symbol(s), company's URL and company's description. Fuel Cell Stocks Directory - Global Directory of Publicly traded Fuel Cell Stocks listed on the TSX, TSX Venture, OTC, NASDAQ, AMEX, NYSE, ASX, AIM and other leading global Stock Exchanges. The directory includes small cap, micro cap as well as large cap NYSE listed stocks for review. For green investors looking for opportunities in the fuel cell sector, the comprehensive global directory in PDF format provides a great research tool with hyperlinks to stocks symbol(s), company's URL and company's description. Green Funding Directory - Global Green Fund and Venture Capital Directory currently lists over 540 global firms including green funds, investors, venture capital and investment banking firms in the cleantech sector. The PDF Format lists firms geographically by Country with a company description, investment specialty, contact info and hyperlink to company contact webpage with clickable links throughout. Natural Gas Stocks Directory - Global Directory of Publicly traded Natural Gas Stocks listed on the TSX, TSX Venture, OTC, NASDAQ, AMEX, NYSE, ASX, AIM and other leading global Stock Exchanges. The directory includes small cap, micro cap as well as large cap NYSE listed stocks for review. Natural gas stocks included range from LNG, Coal Bed Methane to exploration and producers in the sector. The directory in PDF format, features hyperlinks to stocks symbol(s), company's URL and company's description. Investors are also reminded to sign for the free investor newsletter – the next great investor idea! Investors can sign up for the new free newsletter on the pop- up box on the home page of www.investorideas.com or the newsletter sign up page. Investor Ideas is a global financial media online destination specialized in sector investing content. Investor Ideas (and portals within the hub) was one of the first online investing and business resources providing in-depth information, news and stock directories in renewable energy, homeland security and water sectors. InvestorIdeas.com features over twenty industry sectors and global markets including China, India, Middle East and Australia. ABU DHABI, United Arab Emirates--January 18 2010 --Reykjavik Geothermal, a pioneer in geothermal power development, today announced at the World Future Energy Summit that it has entered into a partnership with Ambata Capital Partners to explore, develop and operate utility scale geothermal power generation focusing on emerging markets. Reykjavik Geothermal also announced the intention to establish a headquarters in Masdar City. The company is currently active in Iceland, India, Kenya, Nicaragua, Russia, Rwanda and the United Arab Emirates. ABU DHABI, United Arab Emirates January 18 2010--Masdar and Deutsche Bank today announced the launch of the DB Masdar Clean Tech Fund and its first closing, raising $265 million. This fund brings together for the first time the deep sector knowledge and scope of the Masdar Initiatives with the global asset management and research capabilities of Deutsche Bank. 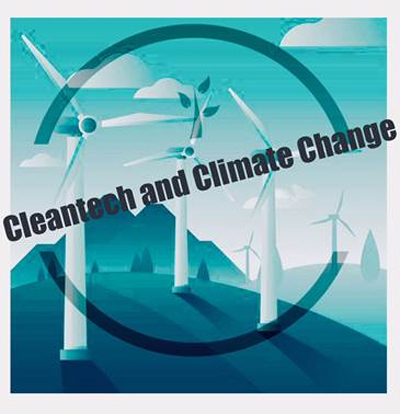 Co-managed by Masdar Venture Capital1 and DB Climate Change Advisors (DBCCA), the DB Masdar Clean Tech Fund seeks to build a diversified venture capital and private equity portfolio that will include some of the world’s most promising and pioneering clean tech and renewable energy companies. The Fund will invest primarily in expansion and later stage companies in the clean energy (power generation, storage), environmental resources (water, waste management) and energy and material efficiency (advanced materials, building and power grid efficiency, enabling technologies) sectors. “We look forward to this unique fund building a portfolio containing best-in-class companies which will benefit greatly from access to the scope of the Masdar Initiatives and the global reach of Deutsche Bank, the leading global financial institution in this space,” he added. The Fund has attracted investment from some of world’s leading organisations concerned with climate change issues. The initial investor group is led by Siemens and includes the Japan Bank for International Cooperation, Japan Oil Development Co., Ltd., which is a wholly-owned subsidiary of INPEX CORPORATION, Nippon Oil Corporation, Development Bank of Japan and GE. “In these challenging economic times, the size of this first close and quality of participants demonstrates a profound confidence in climate change investing and in the joint DBCCA and Masdar investment team,” said Kevin Parker, Global Head of Deutsche Asset Management (DeAM) and member of Deutsche Bank’s Group Executive Committee. The joint DBCCA and Masdar investment team is based in Abu Dhabi, New York and London and combines a wide range of experience in clean tech and private equity investing within the renewable energy industry. The Fund’s co-managers are actively identifying and evaluating potential investment opportunities globally and expect to complete a number of investments over the next year. In addition to the considerable financial resources of the Fund, portfolio companies will benefit from the added value that comes through association with the Fund’s influential sponsors, co-managers and investors. PALM CITY, Fla., Jan. 15 - Millions of dollars of relief may never reach Haitians in time unless roadways, relief camps, hospitals and distribution areas can operate past dark. Donating $300,000 and organizing relief efforts for Haiti, Sol, Inc. is no stranger to the effect solar lights have on safety and security. With over 40,000 solar lighting systems installed in over 60 countries on six continents, Sol, Inc. CEO Rick Schuett knew that the Sol, Inc. team had the expertise and desire to make a real difference. "The Board of Directors chaired by Michael Sonnenfeldt, along with Sol, Inc. employees felt compelled to assist the victims of this earthquake," said Rick Schuett, CEO of Sol, Inc. "We know that once our solar lighting systems are installed, we will effectively double the amount of available relief effort time by allowing aid workers and rescuers to work around the clock when previously operations had to cease at dusk. In addition, our lighting systems will provide safety and security as well as being a hallmark that civility is being restored to the area." The total donation is expected to exceed $400,000 with assistance from suppliers, donations and a solar light matching program. Facilitating the assistance to Haiti is not a small task. Sol, Inc. is working with Florida Congressman Rooney's Stuart office, several relief agencies and government agencies to transport the solar lights from Florida and get them installed in Haiti as quickly as possible. Missionary Flights International - http://www.missionaryflights.org - based in Ft. Piece has graciously agreed to fly some of the solar lighting systems as well as Sol, Inc. volunteers. Sol, Inc. is working with other relief organizations such as World Vision - http://www.worldvision.org , Unicef - http://www.unicef.org and Hands On Disaster Response - http://www.hodr.org to coordinate the installation, local logistics and security for the traveling team. In addition, Sol, Inc. is dispatching a 44' catamaran donated by local entrepreneur Deane Blazie of Jupiter Island, which is scheduled to leave late Sunday or Monday (depending on weather). The boat will remain in Haiti for the next several weeks providing ground support and logistics. Several of Sol, Inc.'s suppliers have generously donated time and materials including Alliance Composites Inc., C & L Technologies, Citizen Electronics, Haze Battery U.S.A., Karl Lust and SPOSTO Interactive, allowing Sol, Inc. to increase the number of solar light systems that will be available to the relief efforts. "Our efforts will continue," said Schuett. "If you or your organization would like to donate money, medical supplies, water or equipment, please contact us immediately. Sol, Inc. is also actively seeking air and ocean transportation avenues for forthcoming donations." Victor Sotolongo is coordinating the Solar Lights Donation logistics for Sol, Inc. Call, text or email him at 772.205-9987 or v.sotolongo@solarlighting.com . Sol will be providing additional lights through a special ongoing Solar Lights for Haiti matching program it has established. For every solar light system purchased, Sol, Inc. will match the donation with a second solar light system. To support the solar lights for Haiti relief effort, visit http://www.solarlighting.com and click "Donate Light to Haiti Earthquake Victims." Sol, Inc. is the world leader in solar LED outdoor lighting solutions with over 40,000 systems installed in more than 60 countries on six continents. Since 1990, Sol has introduced innovative and cost-effective solar lighting systems that provide unsurpassed levels of illumination and reliability. Sol, Inc. develops, manufactures and markets commercial/industrial-grade solar powered and energy efficient lighting systems for a wide range of lighting applications including area and security, street and roadways, sign and billboards and transit and shelter lighting. Sol, Inc. is ISO 9001:2000 certified and committed to superior design, manufacturing, and customer satisfaction. MOUNTAIN VIEW, Calif., -- Cobalt Technologies, the leader in commercializing biobutanol as a renewable fuel and chemical, today formally launched its first facility. California Governor Arnold Schwarzenegger and Silicon Valley cleantech leaders were on hand, demonstrating the importance of clean technology to the state's future economic vitality. "It is great companies like Cobalt that will help California meet our greenhouse gas reduction targets under AB 32 and our Low Carbon Fuel Standard," said Governor Schwarzenegger. "Cobalt shows us that what is good for the environment can also be good for the economy. In fact, within the next few years, Cobalt has plans to build an even larger plant that will create 1,300 permanent jobs. I want that plant and those jobs right here in California. That's why, in my State of the State address, I announced a Jobs Initiative that we estimate could create 100,000 jobs with one piece of this proposal exempting the purchase of green-tech manufacturing equipment from the sales tax. This proposal will help California attract and retain green businesses and create the jobs of the future. I want every CEO, entrepreneur and innovator to know that if you're investing in a cleaner future, California will invest in you." Cobalt biobutanol is an ideal fuel for California and the world. Cobalt uses non-food feedstock, such as forest waste and mill residues, and its technology reduces greenhouse gas emissions by 85 percent compared to gasoline. A 12 percent blend of Cobalt biobutanol with gasoline, already permissible under US EPA guidelines, complies with the requirements of California's Low Carbon Fuel Standard. Cobalt's form of biobutanol (n-butanol) is very versatile. It can be used as a standalone fuel; blended with gasoline, diesel and ethanol; converted into jet fuel or plastics, or sold as is for use in paints and coatings. Butanol packs more energy than ethanol and is less polluting. In addition, it is a drop-in fuel, and is fully compatible with today's automobile engines and pipeline infrastructure. "Cobalt is leading the race to bring economic next generation biofuels to market," said Rick Wilson, Ph.D., Chief Executive Officer of Cobalt Biofuels. "Based on the technology breakthroughs we have achieved, and the successful operation of our plant, we are on track to build a commercial facility within two years, and we are currently building a network of strategic partners in the fuels, chemicals, forest products, and construction industry to deploy our technology at the next scale. The Governor's leadership in clean technology policy, like the proposed sales tax exemption for green manufacturing equipment will help accelerate commercialization and make California an attractive place to site a plant." One commercial-scale Cobalt plant employs 1,300 permanent green collar jobs at the plant and surrounding area, and adds more than $250 million annually to the state's GDP, according to a market study commissioned by Cobalt. Cobalt is backed by leading investors in the cleantech sector, including Pinnacle Ventures, Vantage Point Venture Partners, Burrill and Company, Malaysian Life Sciences Capital Fund, Life Science Partners (LSP), @Ventures, and Harris & Harris. Cobalt Technologies replaces petroleum and petrochemicals with a highly versatile, profitable and renewable alternative – biobutanol. The company's technology and engineering platform offers a continuous process to efficiently convert diverse non-food feedstocks – beginning with waste wood – into biobutanol, an ideal building block for a wide range of bio-based products, including fuels, chemicals and plastics. With the best production rates and margins in the market for cellulosic butanol, Cobalt provides a commercial solution with greater capital efficiency and improved production facility economics. Cobalt is based in Mountain View, CA. For further information, please visit www.cobaltbiofuels.com. Latitude Solutions, Inc.'s CleanTech Group Subsidiary Acquires F&T Technologies, Inc.
BOCA RATON, Fla., -- Latitude Solutions, Inc. ("LSI" or the "Company"), (Pink Sheets: LATI), announced today that its wholly-owned subsidiary, Latitude CleanTech Group, Inc., has acquired all of the assets, intellectual property and technology know-how of F&T Technologies, Inc. F&T Technologies has been owned (and operated) by F. William Gilmore, whose patents form the basis of Latitude CleanTech Group's water treatment technology. Mr. Gilmore will serve as Latitude CleanTech Group's President and Chief Technology Officer. Warren V. Blasland, Latitude CleanTech Group's Chief Executive Officer, stated, "I have worked closely with Mr. Gilmore over the past year and have seen the major market advantages that occur based upon Mr. Gilmore's knowledge gained over his twenty years of experience including a number of projects conducted with Western Research Institute in Laramie, WY, using EC Technology. Mr. Gilmore was involved with the testing of a wide variety of polluted industrial wastewaters. Mr. Gilmore filed the original patents on Latitude CleanTech Group's treatment technology and continues to develop and patent ongoing enhancements to our technology." Mr. Gilmore, stated, "The ability to deploy the technology and further refine it to solve the massive problems associated with the oil and gas recovery industry, particularly the oil sands tailings water and shale bed frac and product water and mining wastewaters in an era of increasing population and decreasing availability of clean water worldwide marks the culmination of a lifetime of finding solutions to these problems. I am very enthusiastic about Latitude CleanTech playing an important role in solving these growing worldwide problems." Latitude Solutions, Inc. is a holding company whose proprietary technologies and operations reside in three subsidiaries. Latitude Clean Technology Group, Inc. provides products, processes and solutions for contaminated water applications. GPS Latitude is the Company's technology/software/hardware group, which provides unique wireless telemetry/live video streaming security products to mobile assets and people. Trinity Solutions, Inc., the Company's third operating subsidiary has entered into a strategic alliance with a super certified Native American enterprise, which allows Trinity, on behalf of itself, its sister companies and other strategic alliances to bid for mission-critical government contracts on a preferential basis. LSI has offices in Boca Raton, Florida, Bend, Oregon, Huntsville, Alabama and Montreal, Quebec, Canada. The products and solutions can be viewed on www.lsiworldwide.com. This press release may contain certain forward-looking statements within the meaning of Section 27A of the Securities Act of 1933, as amended, and Section 21E of the Securities Exchange Act of 1934, as amended. Investors are cautioned that such forward-looking statements involve risks and uncertainties, including without limitation, acceptance of the Company's products, increased levels of competition for the Company, new products and technological changes, the Company's dependence on third-party suppliers, and other risks detailed from time to time in the Company's periodic reports filed with the Securities and Exchange Commission. WATERDOWN, ONTARIO - Sixteen clean technology projects from across Canada will receive $58 million in funding to help move innovative technology solutions to the market. The announcement, confirming the decision of the Board of Directors of Sustainable Development Technology Canada (SDTC), was made today by the Honourable Lisa Raitt, Minister of Natural Resources, and Vicky Sharpe, SDTC's President and CEO. "Our Government continues to help bring innovative renewable energy technologies from idea to marketplace," said Minister Raitt. "Investing in these projects will stimulate the growth of a domestic clean energy industry, create high-quality jobs for Canadians and help protect our environment." "Through SDTC, the Government of Canada is helping cleantech companies convert their new technologies into market-ready products," said SDTC Chairman Juergen Puetter. "When these companies bring their technologies to businesses and consumers, they create jobs, provide Canada a technological edge and contribute to an overall reduction in Canada's greenhouse gas emissions". - Technologies that will help reduce the environmental impacts of the transportation sector by using renewable energy such as electricity and hydrogen to power vehicles. - Biomass-related technologies that will add value to Canada's forestry and agricultural industries, furthering the development of a bio-based economy. These new investments bring SDTC's total portfolio value to over $1.5B. SDTC's SD Tech FundTM has completed fifteen funding rounds, committing $464 million to 183 clean technology projects, and leveraging over $1B from project consortia members. These figures include adjustments made to the portfolio. SDTC's investments to date are creating Canadian green jobs, have leveraged additional private sector investment of nearly $900 million and are expected to deliver an overall reduction of greenhouse gas emissions of between 5 and 12 Megatonnes - the equivalent of taking up to 1.5 million homes off the grid. "The projects included in this funding round show Canada's great potential and confidence in the cleantech sector," said Vicky Sharpe, SDTC President and CEO. "Companies and countries around the world are looking to buy clean technologies. It's through such promising innovations that Canada can seize the cleantech opportunity and become a technology seller to the world." The newly funded projects are representative of the investment priorities established in the SD Business CasesTM, a series of six reports published by SDTC and which provide strategic insights into specific economic sectors (available in the Knowledge Centre section of the SDTC website at http://www.sdtc.ca/). The latest report on industrial freight transportation was released on December 2, 2009. Other sectors previously studied include clean conventional fuels, renewable electricity and commercial buildings. SDTC will be launching its next call for Statements of Interest (SOI) for the SD Tech Fund on February 24, 2010. Applicants with projects that bring technological solutions which fall under the investment priorities established in the SD Business CasesTM and that address climate change, clean air, clean water and clean soil issues are encouraged to apply. Solutions that address more than one of these issues are of greatest interest. SDTC is an arm's-length foundation created by the Government of Canada which has received $1.05 billion as part of the Government's commitment to create a healthy environment and a high quality of life for all Canadians. SDTC operates two funds aimed at the development and demonstration of innovative technological solutions. The $550 million SD Tech FundTM supports projects that address climate change, air quality, clean water, and clean soil. The $500 million NextGen Biofuels FundTM supports the establishment of first-of-kind large demonstration-scale facilities for the production of next-generation renewable fuels. Detailed information on the 16 projects, including their descriptions, can be found at http://www.sdtc.ca/ . POINT ROBERTS, Wash., Delta B.C., January 16, 2010 - www.InvestorIdeas.com, a leading online global investor resource, with a primary focus on cleantech investing, has updated the recently available Global Green Fund and Venture Capital Directory for green businesses and entrepreneurs seeking potential funding sources. The directory lists over 540 global funding sources in the cleantech sector. The global directory is currently available for purchase in a PDF format for $99 and is updated monthly. Visitors can review the format and preview the directory at the Renewable Energy Funds and Venture Capital Investing page at Investor Ideas. The Marketplace is a meeting place created for connecting global companies in leading sectors, seeking strategic partnerships, funding, management, mergers and acquisitions, licensing or branding. The Global Green Marketplace has a growing network of green and renewable energy companies seeking funding /partners, management and a growing global network providing venture capital and equity funding with an intention to go public. Become Investorideas.com Member- Research water, renewable energy and environment publicly traded companies in global markets. Green and alternative energy investors can research stocks with the Renewable Energy Stocks Directory, one of the most comprehensive directories online. The directory has over 900 stocks and new stocks are added each month for investors following the sector. The directory is now available to investors in PDF format. Investors also have the option to access the directory as part of the Investor Ideas Membership premium content that currently features an additional 9 stock directories, including the water stocks directory and investor newsletter, the Insiders Corner tracking insider buying trends in small cap stocks. POINT ROBERTS, WA and DELTA, BC –January 14, 2010 www.Water-Stocks.com, reports on new developments for 2010 for investors following the water sector. Investors can track trends in water with new columns, Hydrocommerce Corner - Where Water & Money Meet with Bill Brennan and coming Soon - BlueTech Tracker with Paul O’Callaghan. Investorideas.com and www.Water-Stocks.com are positioning to be a leading destination for cleantech investors researching the water space. The new water news feed Water Stocks News at Investorideas.com and the global water stocks directory are two of the top tools available in addition to industry commentary and interviews. Index based on 9 water stocks from the global water stocks directory at www.Investorideas.com and www.water-stocks.com. www.Water-Stocks.com, an investor portal within the InvestorIdeas.com content umbrella, offers water investors sector- close- ups, research tools, news, Blogs, online conferences, Podcasts , interviews and a directory of public companies within the water sector .The water-stocks content hub has created a global marketplace and meeting place for investors, public companies, industry buyers and sellers of water technology, services and water assets. Investorideas.com and water –stocks.com work with private companies in the water space seeking funding and joint ventures through the global marketplace. Investars is dedicated to helping investors enhance investment performance through innovative supply chain management tools, indexing and structured products, as well as unique media content. Our clients benefit from customized analytics designed to help them identify alpha generating investment ideas according to their own investment style and risk tolerance levels. Disclaimer: Our sites do not make recommendations. Nothing on our sites should be construed as an offer or solicitation to buy or sell products or securities. We attempt to research thoroughly, but we offer no guarantees as to the accuracy of information presented. All Information relating to featured companies is sourced from public documents and/ or the company and is not the opinion of our web sites. This site is currently compensated by featured showcase companies including Wescorp Energy (WSCE), news submissions and online advertising. Read our Compensation Disclosure and disclaimers. Mountain View, CA – January 12, 2010 – Cobalt Technologies, the leader in commercializing biobutanol as a renewable fuel and chemical, today formally launched its first facility. California Governor Arnold Schwarzenegger and Silicon Valley cleantech leaders were on hand, demonstrating the importance of clean technology to the state’s future economic vitality. Cobalt biobutanol is an ideal fuel for California and the world. Cobalt uses non-food feedstock, such as forest waste and mill residues, and its technology reduces greenhouse gas emissions by 85 percent compared to gasoline. A 12 percent blend of Cobalt biobutanol with gasoline, already permissible under US EPA guidelines, complies with the requirements of California’s Low Carbon Fuel Standard. Cobalt’s form of biobutanol (n-butanol) is very versatile. It can be used as a standalone fuel; blended with gasoline, diesel and ethanol; converted into jet fuel or plastics, or sold as is for use in paints and coatings. Butanol packs more energy than ethanol and is less polluting. In addition, it is a drop-in fuel, and is fully compatible with today’s automobile engines and pipeline infrastructure. One commercial-scale Cobalt plant employs 1,300 permanent green collar jobs at the plant and surrounding area, and adds more than $250 million annually to the state’s GDP, according to a market study commissioned by Cobalt. Cobalt Technologies replaces petroleum and petrochemicals with a highly versatile, profitable and renewable alternative – biobutanol. The company’s technology and engineering platform offers a continuous process to efficiently convert diverse non-food feedstocks – beginning with waste wood – into biobutanol, an ideal building block for a wide range of bio-based products, including fuels, chemicals and plastics. With the best production rates and margins in the market for cellulosic butanol, Cobalt provides a commercial solution with greater capital efficiency and improved production facility economics. Cobalt is based in Mountain View, CA. Recently, senior energy industry executive Karl W. Miller raised the point that current natural gas storage models being utilized in the U.S. were outdated and underestimate true natural gas usage and over-estimated deliverability of gas from storage when needed. Mr. Miller pointed out that traditional storage models are grossly underestimating the true injections, withdrawals and deliverability of natural gas in the U.S. leading to substantial standard deviations in analyst estimates and reported withdrawals by the U.S. Government, through the EIA. The net result is that in Mr. Miller's opinion natural gas withdrawals have been understated and the in climate weather forecast for the first quarter of 2010, peak winter and summer demand, and broader U.S. industrial demand will drive oil and natural gas prices up substantially higher in 2010.The natural gas production decline curve for shale and tight sands natural gas production is the wild card. The decline trend in natural gas well production is dictated by natural geologic formations, rock and fluid properties among other factors.Â Thus, a major advantage of decline trend analysis is inclusion of all production and operating conditions that would influence the performance of natural gas wells. .
As an example a study was done on a few specific wells for production histories of fractured low permeability gas wells in the Piceance Basin in Northern Colorado, which are characterized by a sharp initial decline followed by a long transition into exponential decline. These two decline periods correspond to linear and pseudo steady-state flow, respectively. Predicting rates and reserves based on test data or short production Predicting decline rates and reserves based on test data or short production histories is difficult using conventional decline curve analysis, thus making shale gas and tight sands production curves difficult to forecast. The usual approach to predicting reserves by decline curve analysis, in this type of well, is to arbitrarily assign a high exponential decline rate for the first two or three years, followed by a lower decline. Another approach is to find a hyperbolic decline curve to fit the early tine data and extrapolate to estimate future rates. Both of these approaches can result in large errors in calculated reserves. â€œSimply put, we donâ€™t know how steep the production decline curve will be for non-traditional natural gas production will be. There is no quantitative evidence that analyst can use today to support excess supply of natural gas in the future, further pressuring prices to the upside. Research Natural Gas, Renewable Energy and water stocks as an Investor Ideas member and gain access to global green stock directories. SCHENECTADY, N.Y.----GE (NYSE: GE) announced today that it has signed contracts to supply 88 wind turbines to HECIC New Energy Co., Ltd, one of China’s leading wind energy developers, for three new projects in Hebei and Shanxi Provinces. The projects will support the rapid growth of wind energy investments in China, which today is the world’s fourth largest producer of wind power. “As a corporate citizen of China, our strategy is to apply the most advanced and reliable technology and technological expertise for every project that will help China reach its goal of achieving clean energy.”.China’s plan to add 150 gigawatts of installed wind power capacity by 2020 would require it to install approximately 11.5 gigawatts of installed wind power capacity per year from 2009-2020. The new wind farms will add 132 megawatts of installed wind power capacity for China, which currently ranks fourth, behind only the United States, Germany and Spain in wind power production. According to the Global Wind Energy Council, China continued its rapid growth in wind energy in 2008 by doubling its installed capacity to 12.2 gigawatts. To date GE has committed to supply 895 units of 1.5-MW wind turbines to China, in support of the country’s aggressive renewable energy program. China is aiming to increase power generation from renewable sources to 15 percent of the nation’s total by 2020. To achieve this, China will need to strengthen development on solar, wind and biomass energy. GE’s 1.5-megawatt wind turbine is the most reliable and widely deployed wind turbine in the global wind industry today. More than 12,000 of these machines have been installed for projects worldwide. In 2008, HECIC New Energy Co., Ltd purchased 66 of the machines for projects for which commissioning has been completed. The wind turbines for the HECIC New Energy projects will be equipped with Low Voltage Ride-Through and Wind Farm Management Systems, which are advanced and grid- friendly connection technologies, enhancing reliability and stability of the wind turbine. GE’s support of China’s wind industry is just one part of the company’s total commitment to the country. GE started doing business in China as early as 1906 and currently runs 36 wholly owned or joint venture companies in China ranging from manufacturing, service, research and development, financial services and sourcing, with a total workforce of over 13,000. GE serves the energy sector by developing and deploying technology that helps make efficient use of natural resources. With 60,000 global employees and 2008 revenues of $38.6 billion, GE Energy www.ge.com/energy is one of the world’s leading suppliers of power generation and energy delivery technologies. The businesses that comprise GE Energy – GE Power & Water, GE Energy Services and GE Oil & Gas – work together to provide integrated product and service solutions in all areas of the energy industry including coal, oil, natural gas and nuclear energy; renewable resources such as water, wind, solar and biogas; and other alternative fuels. For more information, visit the company’s Web site at www.ge.com. GE is imagination at work. HECIC New Energy Co., Ltd. (HECIC NEW ENERGY) was established in 2006 as a wholly owned subsidiary of Hebei Construction & Investment Group Co., Ltd (HECIC). HECIC NEW ENERGY is a professional company engaged in new energy undertakings. By adopting advanced technology and equipments as well as scientific management methods, it develops and utilizes wind, solar and nuclear energy, supplies clean electric power, adjusts industrial structure to maintain the healthy and sustainable development of the national economy and create social and economic benefits. President Obama announced awardees of the clean energy manufacturing tax credit in the American Recovery and Reinvestment Act. In order to foster investment and job creation in clean energy manufacturing, the American Recovery and Reinvestment Act included a tax credit for investments in manufacturing facilities for clean energy technologies. The Section 48C program will provide a 30 percent tax credit for investments in 183 manufacturing facilities for clean energy products across 43 states. This tax credit program will help build a robust high technology, US manufacturing capacity to supply clean energy projects with US made parts and equipment. These manufacturing facilities should also support significant growth in US exports of US manufactured clean energy products. The $2.3 billion in tax credits is being allocated on a competitive basis. Projects are assessed based on the following criteria,: commercial viability, domestic job creation, technological innovation, speed to project completion, and potential for reducing air pollution and greenhouse gas emissions. The Department of Energy also considered additional factors including diversity of geography, technology and project size, and regional economic development. The program is currently capped at $2.3 billion in tax credits and was oversubscribed by a ratio of more than 3 to 1, reflecting a deep pipeline of high quality clean energy manufacturing opportunities in the U.S. These tax credits for clean energy manufacturing will help rebuild domestic manufacturing and bring private capital off the sidelines. With this announcement, IRS has certified applications (MS Excel), and notified the certified projects with the approved amount of their tax credit. Awardees will receive acceptance agreements from the IRS by April 16, 2010. Credits will be allocated until the program funding ($2.3 billion) is exhausted. Subsequent allocation periods will depend on remaining funds. Estimated Jobs Impact and Timeline of the 48C Manufacturing Tax Credits:Recovery Act investments of up to $2.3 billion for advanced energy manufacturing facilities will generate more than 17,000 jobs. This investment will be matched by as much as $5.4 billion in private sector funding likely supporting up to 41,000 additional jobs. Timing of Projects: The statute authorizing the 48C tax credits allows projects that are completed on or after February 17, 2009, when the Recovery Act was signed. Projects must be commissioned before February 17, 2013. The statute favors the selection of projects that are in service early. As a result, some of the selected projects already have been completed and begun operation. Applicant Pool:The application deadline for the 48C program was October 16, 2009. Over 500 applications were received with tax credit requests totaling over $8 billion. The 48C applications pool was distributed across many clean energy technologies and was geographically distributed to more than 40 states. Other advanced energy property designed to reduce greenhouse gas emissions may also be eligible as determined by the Secretary of the Treasury. Expanded Support for 48C Tax Credits to Accelerate Manufacturing Job Creation:Because the 48C program generated far more interest than anticipated, DOE and Treasury have a substantial backlog of technically acceptable applications. Instead of turning down worthy applicants who are willing to invest private resources to build and equip factories that manufacture clean energy products in America, the Administration has called on Congress to provide an additional $5 billion to expand the program. Because there is already an existing pipeline of worthy projects and substantial interest in this area, these funds will be deployed quickly to create jobs and support economic activity. In doing so, the Administration will employ new approaches to ensure that we maximize private investment for every dollar we invest.